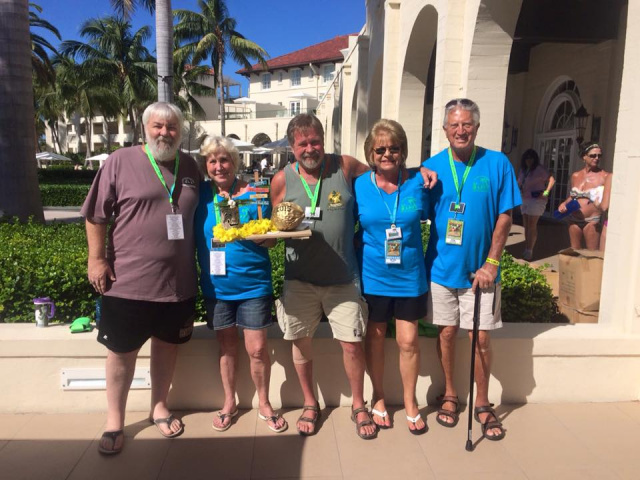 The San Diego Parrot Head Club (SDPHC) is a 501 c(4) Civic Organization founded in 1995 by a group of local Jimmy Buffett music fans who wanted to make a difference in their community. We are dedicated to preserving and improving the environment, and are active in many community-orientated projects. Our club raises money through charity drawings, silent auctions, and donations at club events throughout the year. Get in touch with us! SDPHC was the proud recipient of that award in 2015. A club can win this award only one time. Get in touch with San Diego Parrot Head Club to learn more about our work and how you can get involved. Want to get involved? Join us at our monthly business meetings. They generally are the 2nd Tuesday of the month, but check our Events for details. They're held at Desi’s Bar & Grill in Point Loma.